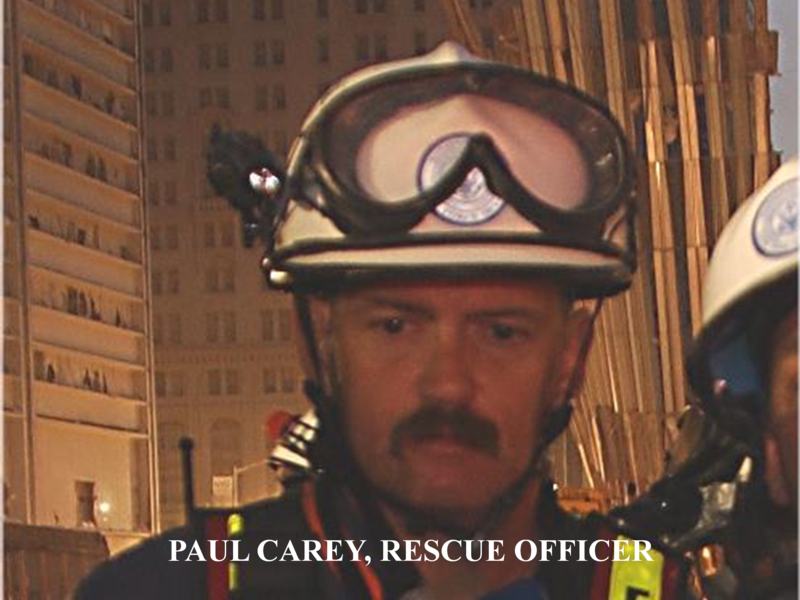 I deployed with MATF1 to the WTC as Rescue Squad D Officer and worked night shift. I remember the very emotional ride down the West Side Hwy on the bus and seeing throngs of New Yorkers cheering that outside help had arrived, and many were trying to hand us pictures of missing relatives and friends, and pleading with us to find them. Large signs were being held up saying thank you, God Bless you for coming, etc. many of us got choked up at this experience. These scenes and dangerous missions continued for the next 7 days, and we were pissed when told to stand down and demobilize. I was secretly hoping to find my dozen or so very close friends/ FDNY Brothers, who I had been teaching with at the FDNY Academy just 4 days prior. When I had dinner with them up in the Bronx the Friday evening prior, and gave them farewell hugs, little did I know I would never see them again, and ironically be sent looking for them a few days later. Let us never forget that 343 Brother Firefighters, along with NYPD and PAPD members were brutally murdered that morning while executing the SINGLE LARGEST RESCUE OPERATION IN U.S. History, managing to safely evacuate possibly 30,000 civilians, according to some estimates. Also, we must remember that the World has become the battlefield during this War on Terrorism, and we now have Special Ops Warriors operating in approx. 30 Countries, hunting down High Value Targets. This comforts me when I think of my anger upon arrival at Ground Zero on 911. Pray for our warriors as they exact revenge for that day, and covertly continue to disrupt many other Terror Plots on a daily basis. Never take your Freedom for granted , as people have spilled blood or died so that you and I may possess it. One of the accomplishments that I am most proud of during my 31 year career in the Fire Service is my membership with MATF1, which is an extremely dedicated group of consummate Professionals who I consider it to be an honor and a privilege being associated with.